Apart from two DXpeditions with Dave Onley in 1999 (Coorong, South Australia) and in 2001 (Woodside, Victoria, Australia), I havent actually been active in the hobby since 1996. Ive been spending my time doing what every mediumwave DXer goes through at some time. I had to replace the DXpeditions with University study, wife and career. 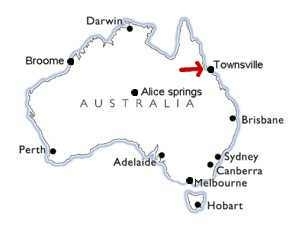 So after eight years of being a regular member of society living in a DXer unfriendly location, my life has taken an exciting DX twist as my wife and I decided to move to Townsville at the end of April 2004. So this is not exactly a DXpedition, but rather a DXrelocation story. The following is a trail from April to July 2004 using a Drake SPR4 and Icom R75 both off 12V DC using 5 EWEs at South East Asia, Africa, Japan, USA and Central America. 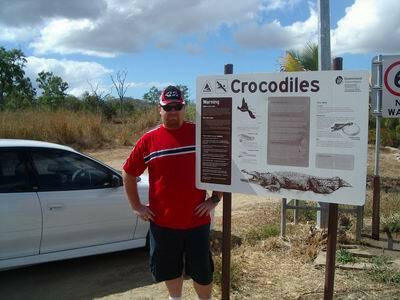 All were heard from my home in the suburbs of Townsville. For the majority of these 4 months of listening I was in a unique situation. My wife was still in South Australia finishing up our move so this meant that almost every evening after work I could listen and on weekends the routine was that of any DXpedition. Id start listening Friday night, wake up at 430am Saturday and repeat again until Id be a bleary eyed mess come Sunday evening. Well the wife is with me now meaning that TVs, PCs and being a husband all take their place in the mix. DXing in Townsville can be very entertaining as the best things are heard at a respectable hour in the early evenings. As Ive been listening in my house, it means late afternoon signals are buried under all sorts of noise and it takes until 6pm sunset (0800 UTC) before overseas signals enter the radio. 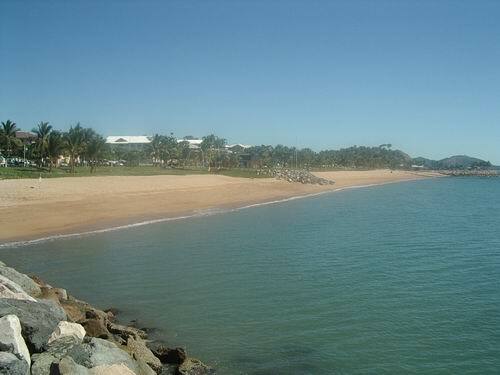 The only exception is NBC Port Moresby which has a lovely water path to Townsville allowing me to hear it on the car radio during every minute of their broadcast schedule  very cool! At this time the Pacific islands appear. If conditions are favourable then Radio Marti 1180, XERF 1570, KUMU 1500 and KTCT 1050 will raise their heads first. If they were there then Id stick on the 10 kHz splits for the rest of the evening. Over the next few hours the west coast of USA, Mexico and Hawaii would be audible. When conditions were favourable, the West Coast USA stations would go through until their sunrise around 11pm (1300 UTC) and Hawaiians would hold on until 2am (1600 UTC). Unfortunately the Canadians, east coast/central USA and South Americans have not been regularly heard over these past four months. I think its going to take a beverage to penetrate this extra distance, those poor little EWE antennas were trying though! So if the marker stations werent around, Id go for the Asia and Pacific 9 kHz splits. From 7pm (0900UTC) Japanese stations would be enhanced and as regular as clockwork at 8pm (1000 UTC) there would be an enhancement to the Philippines. Over the four months of listening, I would experience regular openings to specific parts of Asia around 7pm to 10pm local (0900-1200 UTC) to Japan, Philippines, South Korea or Taiwan, which was sensational, the only disappointment was the lack of Indonesians on the band. Nothing very exciting was heard in the 2am-5am period (1600-1900 UTC), more to do with the limited number of sessions and my mental state at this ugly time of the morning. 5am-630am (1900-2030 UTC) was another matter, with nice signals from Japan, South Korea, China and Taiwan. This was also a great time to ID tricky Philippine stations as they sign on with full English IDs. This is also the time to hear Europe and Africa, but as you can tell from the trail, there were very slim pickings from Africa, the Middle East and Europe, but this is not surprising. The Asian EWE, which also points to the Middle East and Europe is very short due to space restrictions, only being around 9 metres or 30 feet long. This African EWE is useless as it picks up noise due to being located under the power lines. So with my wife living up here now, what does this mean for me in this potential DX paradise. Well my lovely wife has agreed for us to go camping most weekends so that we do tourist things in the day and then I can listen from late afternoon from our newly bought tent. These little one night trips will begin in late August, so fingers crossed. This is a great relief because Ive logged around 200 international loggings from 35 countries and I feel that during this four month listening stint at home that there isnt much more to hear. It really is time to go out into the country side with a couple of beverages rather than dabble with EWEs in my backyard  as a MW DXpeditioner, I feel a bit like a lion sitting in a cage in the middle of the jungle. 1044 1250 Metro Plus, Peng Chau, Hong Kong. 1062 1300 Zhujiang EBS, Guangzhou, China. 1134 1035 JOQR Osaka, Japan.